Is “Euro-Nymphing” killing the dry fly? A few experiences of late have had me question the long term effects of the competitive anglers’ love affair with Euro-Nymphing. Certainly the “French Nymphing” style (and its variations) can be tremendously effective, quite possibly the most effective means of winkling trout out of running water when they are reluctant to venture to the surface. It represents perhaps the apex of development of a type of fly fishing that started with that all too famous disagreement between G.E.M. Skues and his detractors back in the early 1900’s. Viewed as an outgrowth of other subsurface presentation tactics such as Czech Nymphing the style quite obviously allows the angler to present flies in deep and possibly fast water without undue interference from the rapid surface flows. As with similar tactics the style essentially providing control of the flies, and positive take detection. Given that trout consume the vast majority of their dinner under the surface it makes sense that subsurface presentation should represent a key tactic for the angler, both recreational and competitive alike. G.E.M Skues started all this messing about with subsurface patterns but one wonders if he considered how far it might go. However, at risk of becoming a reincarnation of Halford and his upstream dry fly snobbery I have to confess that I do wonder if this slinging weighted flies isn’t being overdone, particularly in certain circles. To my mind when an angler is throwing tungsten at a fish that is rising to surface fly, even should the tactic prove effective, which it frequently does, I would suggest that we are missing the point. The trouble for me isn’t snobbery, although I would happily confess that I far prefer dry fly fishing where it is appropriate, and certainly tend towards the idea that a fish on a dry is more pleasurable than half a dozen on the sunken patterns. The real problem, or should I say problems because I think that there are more than a few, is measuring when to use nymphing tactics. It is all too easy to get “stuck”, overusing the method to such a degree that the skills associated with standard dry fly fishing are lost. One doesn’t wish to be a “Dry Fly Snob” like Frederick Halford, but perhaps reliance on the subsurface fly has gone a bit too far? 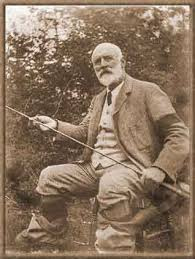 Not long ago I was at a fly fishing expo’ providing some casting tuition, and as is normal with such enterprises there were myriad anglers of varying degrees of skill, casting all manner of new rods and lines. That some could cast, and more than a few couldn’t, would be regarded as par for the course, but what was noticeable was the propensity of many of the junior anglers to cast poorly, particularly in terms of their forward casts. There was a youngster, who I knew to be more than accomplished, throwing neat, tight, high line speed casts backwards and then putting in an “early rotation” on the forward cast opening up the loop. Not too much of a problem in ideal conditions but severely limiting were one to find the breeze into your face or wishing to whip a dry fly under some low hanging herbage. It was to start with something of a puzzle; until I noticed more youngsters casting in exactly the same style. Not one or two but effectively an entire generation of peers, all with the same dare I say, “Fault”, exhibiting wonderfully crisp back casts and weak and poorly defined loops on the way forward. Then the truth dawned on me, these youngsters, to a man exceptionally good anglers, were spending virtually all of their time perfecting “French Style Nymphing”. This despite the fact that most of them fish some of the best dry fly water available in the country. Certainly the requirement to be effective with such methods, something that I certainly wouldn’t profess to have mastered, is a key element to angling, particularly on the competitive scene. More so because recent fly fishing championships have tended to be held on water’s well suited to the technique. But what happens when the waters are different? What if there was a dry fly only section? Fly fishing in general and competitive fly fishing in particular should be a measure of versatility and increasingly this is proving to be the case. Surely quality, accurate and controlled dry fly presentation is a key element of fly fishing. It must be the case that one cannot consider oneself a “rounded angler” if one is relying on weighted flies to turn the leader over all the time. So I have a question mark hanging over Euro-Nymphing. Not because it isn’t effective or indeed the method of choice in many circumstances, but because it is perhaps overdone. Take a further example from the recent past: The Commonwealth fly fishing championships in Devon in the UK. There was only one river session for the competitors, but equally I had opportunity to fish a number of rivers during the trip. Many of these streams boasted a considerable number of overhanging trees, many of the branches dangling in the sky yards from their parent trunks, lurking malevolently above one’s head, easily missed by the focused angler and just waiting for the opportunity to entangle a carelessly lobbed team of weighted nymphs. Euro-nymphing styles are a key part of being an all round fly angler, but that said surely still only “a part” of the whole and not a panacea for all situations. 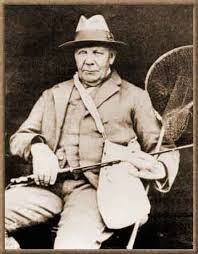 It was particularly noticeable to me that under these conditions one could present a dry fly, or a dry fly and nymph combination far more easily and with far more accuracy than was possible with the open loops of the nymph anglers. Even were it the case that the nymph methods were effective they equally were limiting in terms of fishing all the water available. One of the great advantages of casting dry flies is that one can easily and efficiently cover the water, particularly where distance is required or more importantly access to runs hidden deep under the overhanging latticework of the bankside vegetation. Effectively then I would suggest that there is quite obviously nothing wrong with Euro-style nymph fishing, it is undoubtedly a deadly style when well-practiced, but it shouldn’t be seen as a panacea for all ills or a catch-all method overriding the need for the angler to master quality dry fly presentation. There has to come a time when the later will out-fish the former or where possibly local rules will prevail and exclude the nymph fishing entirely. At this point the skilled dry fly angler will have a distinct advantage and it doesn’t bode well if all the up and coming junior anglers are so besotted with a modern technique that they neglect the advantages of an older one. Of course in reality one should ideally be able to switch with equal effectiveness between one technique and the other, but to be able to do that one should be so proficient at both that the determining factors are the demands of the water and the fish and not one’s own preference or limitation. Truely effective angling should always be a case of “fish the water the way it demands to be fished and not the way that you would prefer to”, rigging up a team of nymphs in the car part before having sight of the water to my way of thinking is an overly dogmatic and limiting way to set about things. When Pascal Cognard visited South Africa in 2013 he made, what I thought at the time to be a remarkable statement: “You should fish dry fly only for two years before starting to nymph fish”. That didn’t entirely make sense at the time but now I think I understand it. 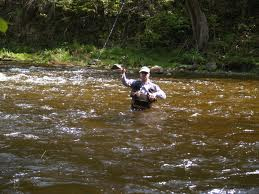 Dry fly fishing teaches one the art of presentation on a two dimensional plane, it teaches drifts and reading of the water, shows up vagaries of current and the advantages of positioning and line mending not to mention casting technique. In short if a three time World Champion thinks that dry fly fishing is this important then perhaps it wouldn’t be a bad thing if we took heed. Nymphing is all well and good, deadly effective and to a point efficient, but it isn’t the only way to catch trout on a fly and it shouldn’t be seen as such either. More writings from the author of this blog can be found on www.inkwaziflyfishing.co.za and various on line and retail stores.